I hope I'm wrong, but there is a good chance Cleveland will end up hating LeBron again. Of course, we Clevelanders are happy he attempted to right his wrong of leaving Cleveland by coming back. But the current Cleveland Cavaliers have lost six consecutive games and have stumbled to a disappointing 19-20 record. They aren't even close to having a championship team. They have to make a major move. By "major move," many might assume they need to make a trade or acquire more players that fulfill important roles — namely defense. That all might help. But, no, no, what Cavs owner Dan Gilbert must do is hire a championship-caliber executive to give the Cavs organization a chance at competing with other organizations. The Cavs' general manager is a relatively obscure guy named David Griffin. He spent 17 years with the Phoenix Suns in various roles before coming to the Cavs. No offense to Griffin, but he certainly has no championship experience. He wasn't an NBA player and started his career in media relations. The Cavs' coach is David Blatt, who is in his first year coaching in the NBA. Blatt does receive some criticism, but really, Blatt is not the Cavs' problem. The Cavs' problem is this: The people in their front office do not match the talent on the court, and there is no way the Cavs can win without proper personnel in place. Let's repeat that key line in all caps for effect: THE PEOPLE IN THEIR FRONT OFFICE DO NOT MATCH THE TALENT ON THE COURT, AND THERE IS NO WAY THE CAVS CAN WIN WITHOUT PROPER PERSONNEL IN PLACE. Unfairly for LeBron James, he is being forced into a role that is wrong for a player. He has to be the sole member of the organization for leadership on all levels. The Cavs need an obvious leader in the front office who has authority over LeBron, and they're not even close to having that. 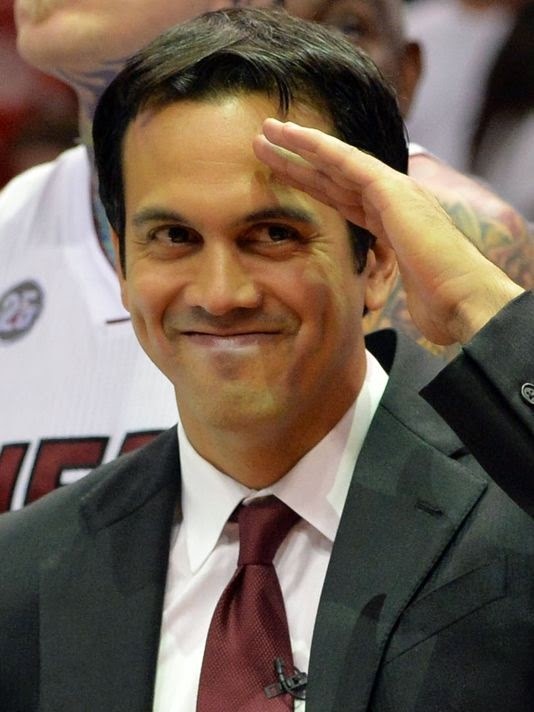 In Miami, coach Erik Spoelstra had a similar role as Blatt. They're both "players' coaches" and understand their role as NBA coaches, which needs finesse because it typically is subservient to players. In their case, it sure is. 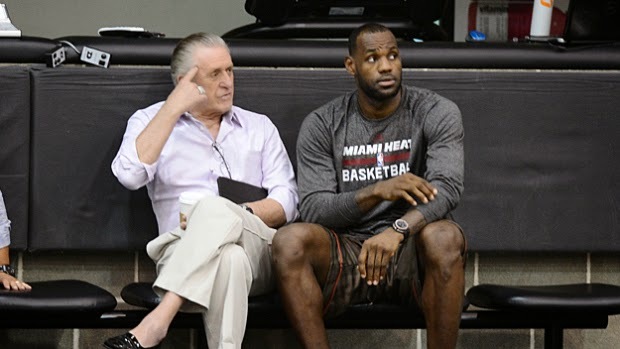 But what Miami had, and has, that Cleveland doesn't is Pat Riley. The buck stopped with Riley, who obviously had authority over LeBron. Right now, nobody in the Cavs' organization has authority over LeBron, and that recipe simply won't work for a championship. If you look back at NBA championship teams since 1980, all of them either had a coach or executive that is a Hall of Famer in their respective job, or is debatable to be a Hall of Famer. Riley was with Miami and the Lakers. Gregg Popovich is a stalwart in San Antonio, and, of course, Phil Jackson accounts for 11 championships in that time period. The list continues after them. The New York Knicks appear to fully understand the necessity of having an elite front-office person as they gave Jackson a five-year, $60 million contract in March. The problem with the 5-35 Knicks, though, is that their roster does not have potential to be a championship team, no matter what kind of Zen magic Jackson can pull. With LeBron and Kevin Love and Kyrie Irving, the Cavs definitely have the makings of a championship roster. But until they also have a championship executive, it simply will not happen. Do I have any bright ideas on whom to get? Not really. They can maybe try to get Don Nelson out of mothballs. Or they can try to poach an elite executive from a current team. Good luck with that! I'm just hoping Cavs owner Dan Gilbert is taking this gaping hole in the front office seriously and makes a move before April that addresses this. If not, the Cavs' championship hopes will be gone —and so will LeBron.